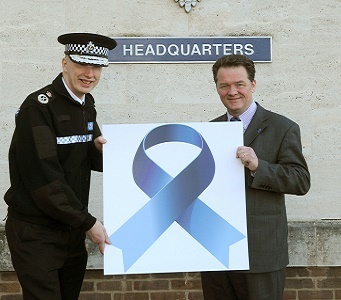 Beacon, the Hertfordshire Victim Care Centre, went live on 1st April 2015 and provides an innovative new arrangement with Victim Support, working directly alongside the Constabulary’s Victim Service Team. Operating out of a single hub, the new service offers a complete ‘wrap-around’ provision for victims, with vulnerable or repeat victims being identified early on for an enhanced care package. Importantly, this service will be available free to all victims of crime, including those who have decided not to report the matter to police, or who have changed their mind about needing support and choose to make contact in the weeks or months after the incident. Visit the Beacon website at www.hertfordshirebeacon.org for information and advice to access support. The hotline 03000 11 55 55 is open daily from 7am to 10pm for victims to contact the centre direct. Victims who report crimes committed against them to police will automatically be contacted by the centre and will not need to call. Victims of fraud in the county should continue to report their crime to Action Fraud at www.actionfraud.police.uk or on 0300 123 2040, however they too can access support services by contacting Beacon direct. The ‘Victims’ Voice’ consultation gives victims of crime in Hertfordshire the opportunity to have their say about the service they received. The aim of the survey is to help shape the services offered to victims in the future, so that their needs are better met and the Commissioner’s aim for a more victim-centred criminal justice system is better served. The questionnaire has no close date and is totally anonymous so people can provide feedback on their experiences to the Commissioner’s office in complete confidence. The easiest way to take part is by going to the online survey, the Victims' Voice Questionnaire or by calling 0800 999 7499 (free from most landlines) to take part in an automated telephone survey. People who don’t want to take part in a formal survey but would nevertheless have their say can do so via email to this address contact@victimsvoice-herts.info; however the telephone survey also has the facility to simply say what your experiences have been. The Commissioner is keen to hold focus groups for victims of crime who are willing to discuss and share their experiences openly to help improve victim support services for the future. Restorative justice brings those harmed by crime, and those responsible for the harm, into communication, enabling everyone effected by a particular incident to play a part in repairing the harm and finding a positive way forward. Restorative justice gives victims the chance to have their say, to get answers to their questions and to move on with their lives. Restorative justice holds offenders to account, directly and personally, gives them an insight into the real impact of their behaviour, and an opportunity to make amends. 85% of crime victims who have been through restorative justice were satisfied with the process and 78% of victims would recommend restorative justice to others. Restorative justice is safe, of good quality, available at all stages of the criminal justice system and focused on victims’ needs. Restorative justice activity will only take place where an assessment has been made by a trained RJ facilitator, in line with recognised standards. Restorative justice will form part of, or be used in parallel to, the normal criminal justice response.